Chloe, Spring 2010. Thanks to Refinery29 for posting a great article about patchwork denim and inspiring me into action. Sewing Saturday! 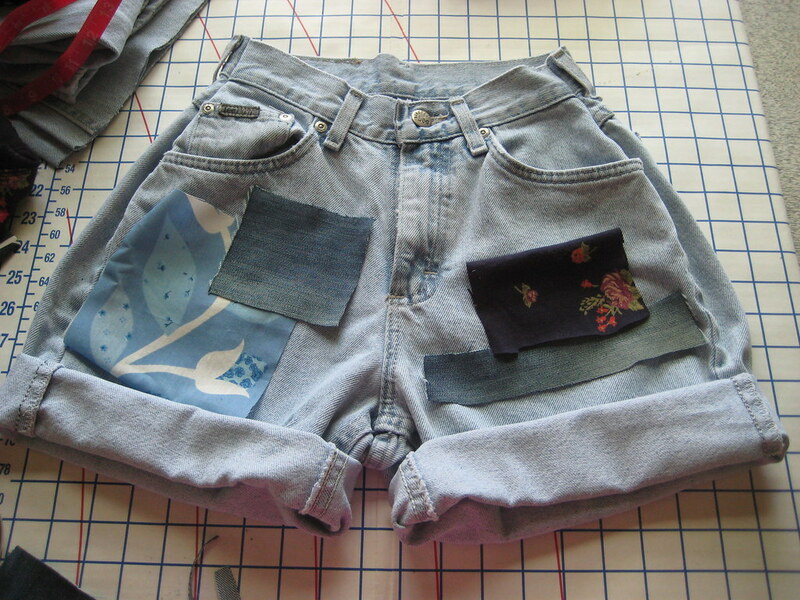 Today, I made patchwork denim cut off shorts. It was a really easy project, which is what I needed after making two dresses right in a row (not that I'm burned out on sewing just yet.. I've got a romper pattern that is calling my name now). And an inexpensive project, as well. 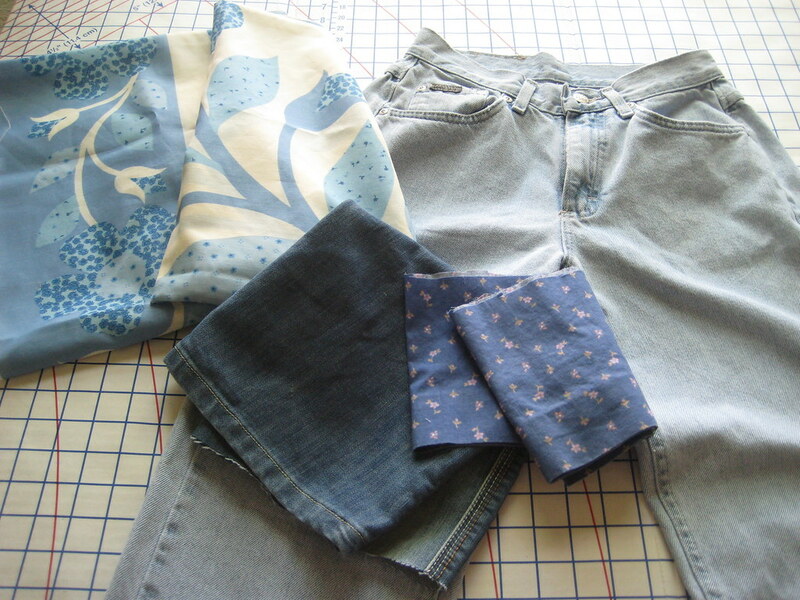 The jeans I used to make the shorts cost me a dollar at Goodwill, and all other materials were already in the house (denim from some jeans Neil recently cut into shorts, floral fabric from past thrift store finds). 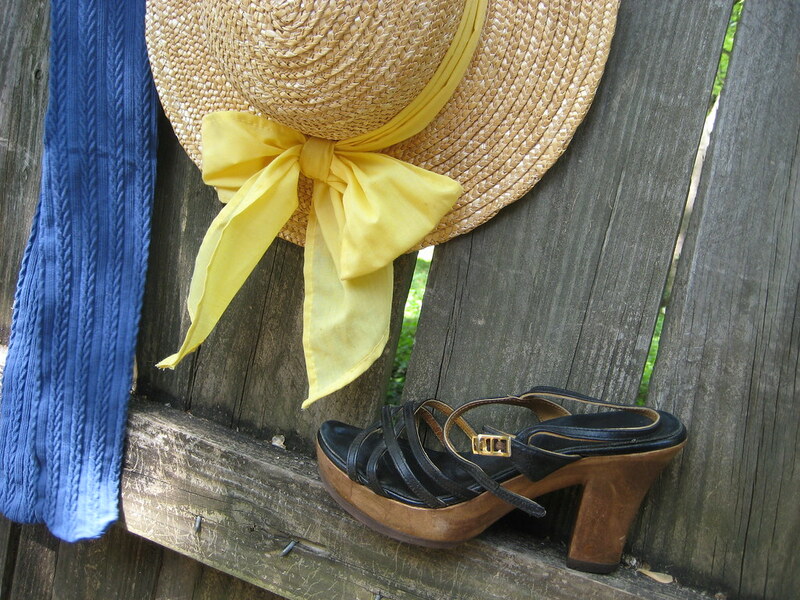 First, start with some old jeans or shorts in the shade of denim you want to use. Cut them down to the desired length and make any other alterations as necessary. I intentionally bought larger jeans so I would have a large enough rise measurement to make them high waisted.. All I did was take the shorts in by an inch or two on either side of the waist, and they fit me like high waisted shorts! 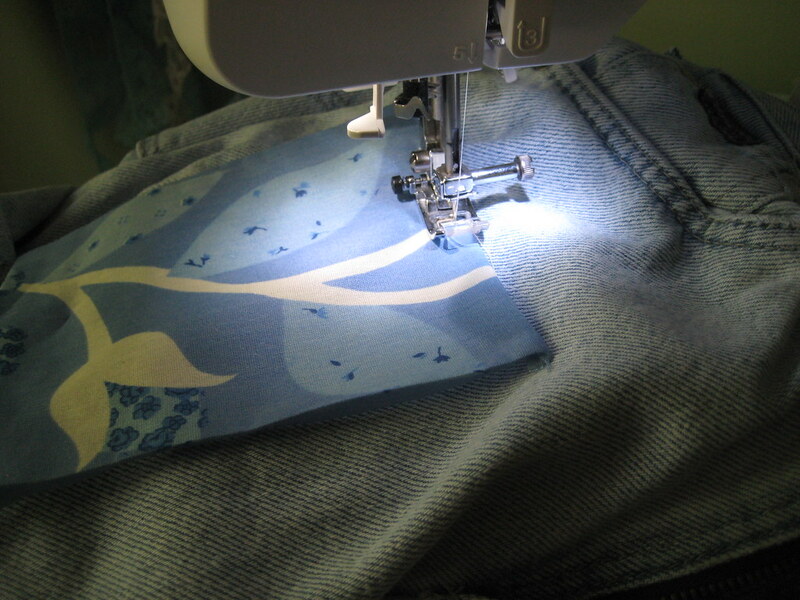 Once the shorts have been altered, find fabric that you'd like to use as patches. The double denim thing is really popular right now, so you might want to use scraps of denim in a different shade or maybe mix it with a patterned fabric like florals, stripes, or polka dots. 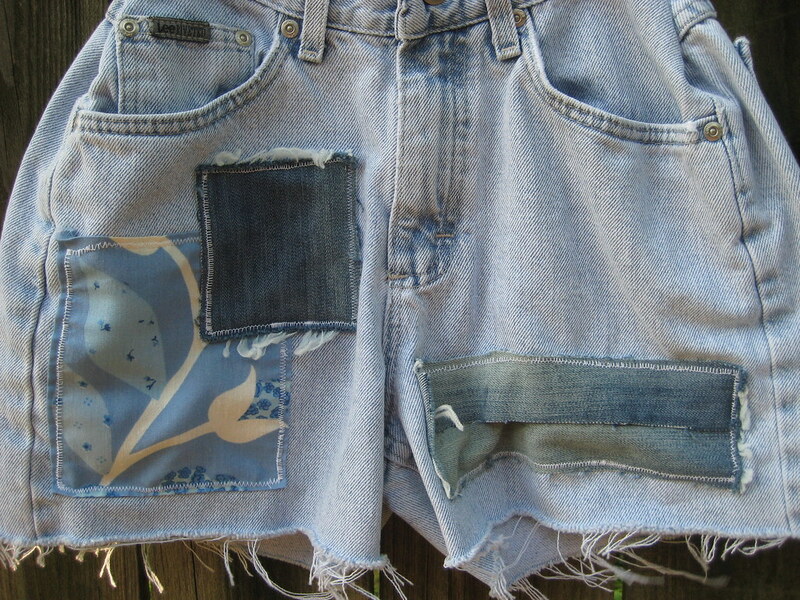 Cut the patches down and arrange them on the shorts the way you like. 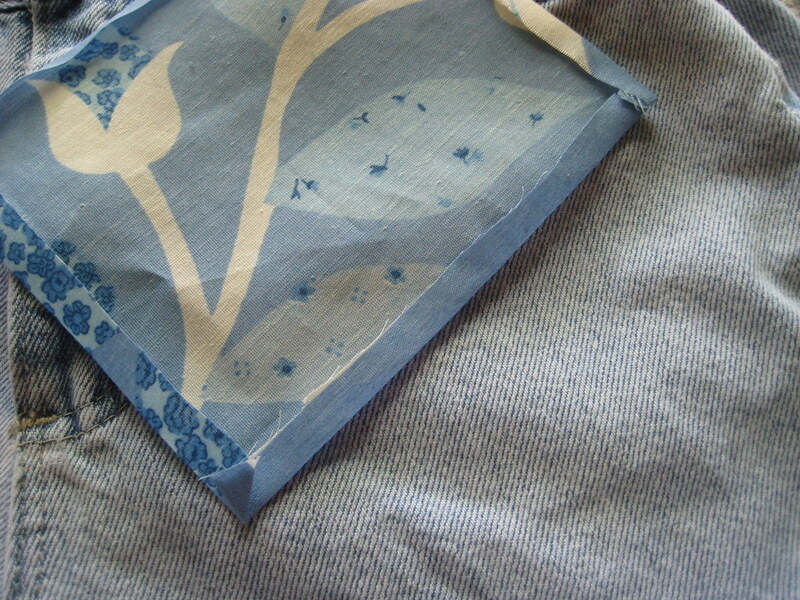 For non-denim fabrics, fold the edges underneath and press them down with an iron so you have smooth edges on all sides. 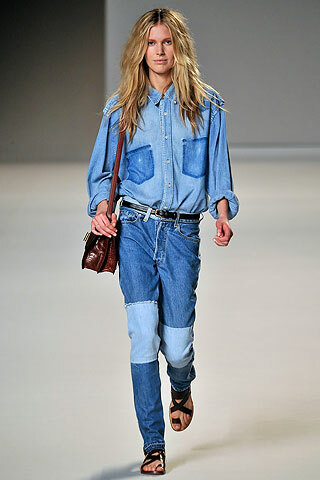 Denim can stay the way it is - keeping the raw edges of the denim exposed allows the denim to fray when worn or washed. Then, sew! Keep your stitches close to the edges. I used a zigzag stitch on the patches because I liked the look. The more haphazard the stitching, the better. If you'd like a more tailored look, finish the edges of the shorts. If not, you can keep them cut offs. 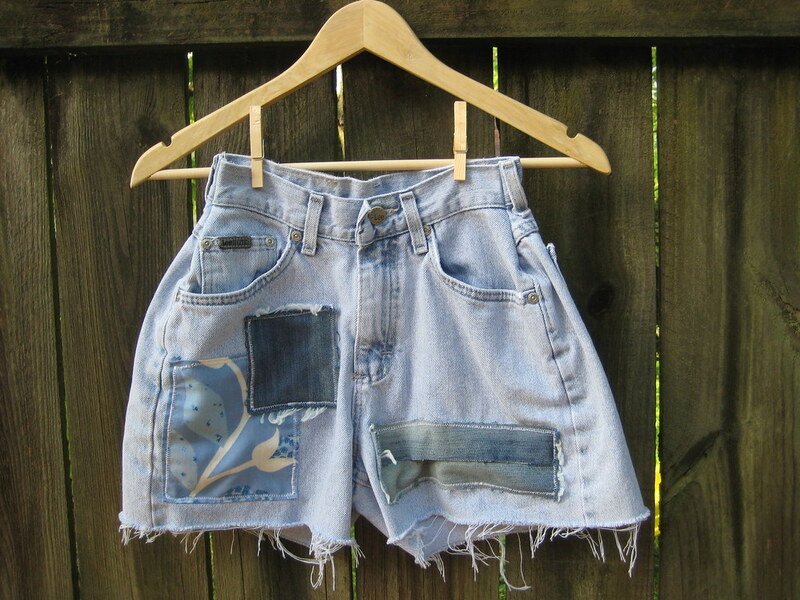 I encouraged fraying by running my scissors up and across the raw edges of the shorts. 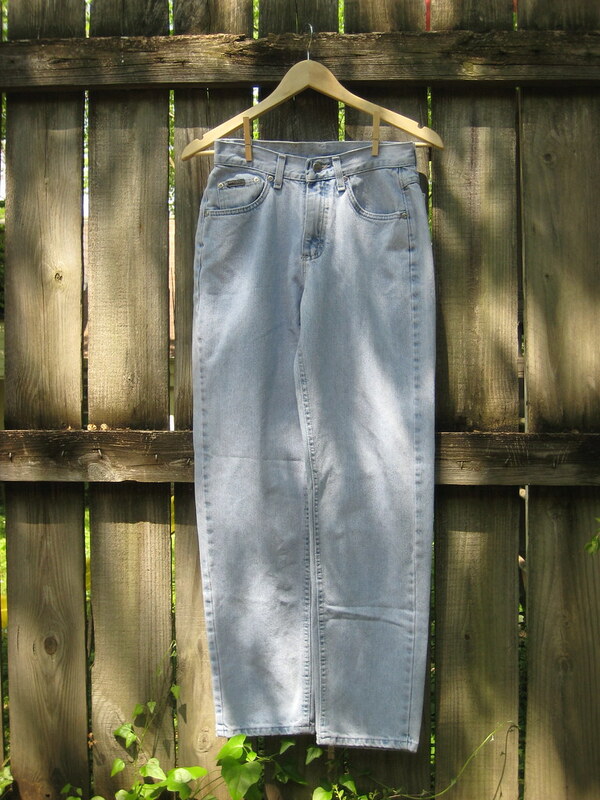 Then, I washed them for extra fraying. This is how they turned out! What do you guys think? Any outfit suggestions? Here are some of my recent finds and purchases. 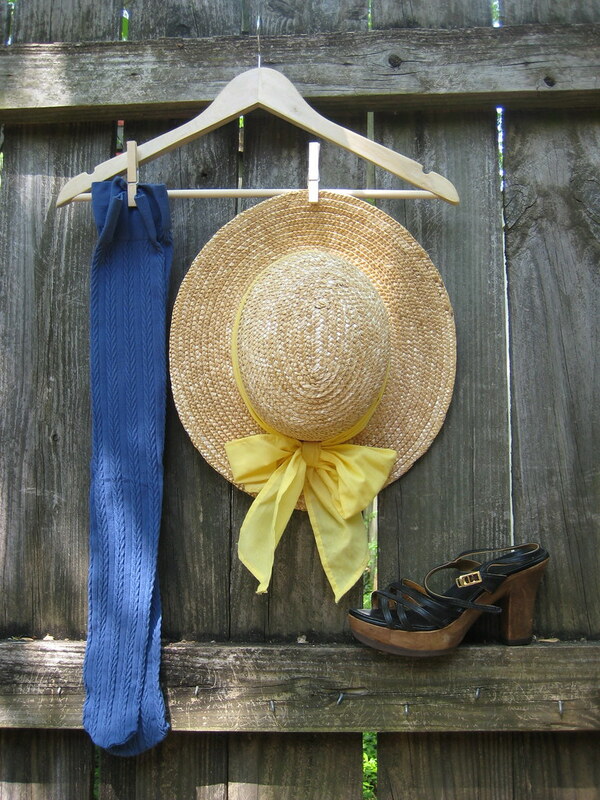 The vintage strappy sandals from Crafty Crow Vintage, blue over the knee cable knit socks from American Apparel, and a thrifted straw hat with yellow bow that is a little too snug on my head to keep for myself (to the shop it goes). You guys may recognize the last pair of shoes. 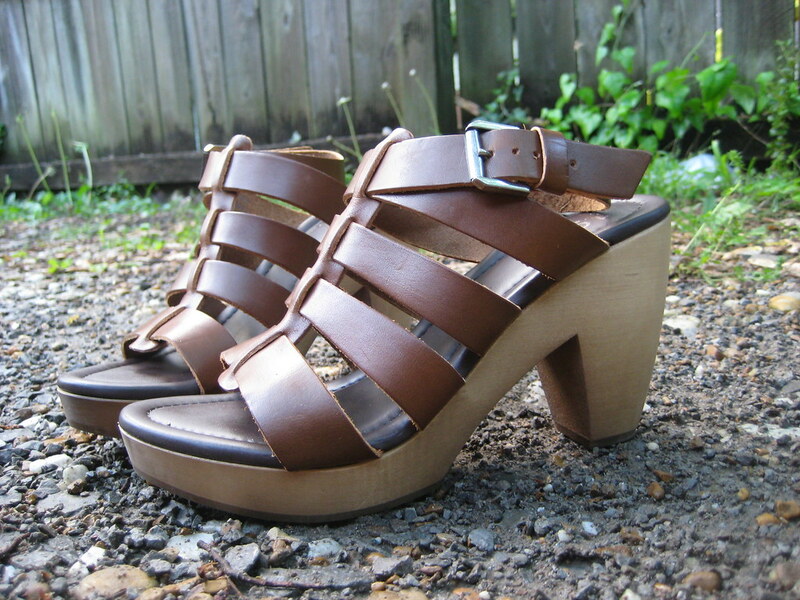 My Madewell sandals came in yesterday! I'm not at all used to having such great shoes, so it's been a treat for me to be able to wear them today. It's likely that I'll be wearing them daily for awhile. Hope you guys are enjoying your weekend plans! I'm headed to the mall tomorrow to eat cheeseburgers and shop at Forever21. Tonight, Neil and I opted out of a zombie prom (Carrie meets Thriller, maybe?) in order to have our usual Border's night. So instead of fake blood and big dresses, I read Mass Effect 2 reviews and Chloe Sevigny interviews. Not a bad decision overall, but one of these days I'm going to have to dress like an undead teenager. etsy shop update! harem pants, floral dresses, and a spring sale.